There are lots of skin lightening products available. Some are great – some not so much! So here I want to help you avoid the bad ones and find the best whitening cream for you. Now this is not necessarily ‘one size fits all’. It will depend on how quickly you want to achieve results and what areas of the body you are wanting to lighten. As well as how much you care about using more natural ingredients versus refined chemicals. Which Creams Are Best Among 50+ Brands? How Do Skin Whitening Creams Work? How To Choose The Best Whitening Product For You? How Long Do Creams Take To Work? How Much Do Whitening Creams Cost? I’ve done a LOT of homework here. To research and find the best products available among so many brands and different types of products took a lot of hours. So I hope you find my results useful. Rather than confuse you with a huge list of products that you don’t want to buy, instead I’m going to give you my top 3 recommended whitening creams. Plus a couple of very popular ones that I’d suggest you avoid. Just because they are popular or well known brands does NOT mean they work well! You can of course dig in and read the detailed reviews too if you want more information. Plus read on below if you would like to know more about how whitening products work. And how to identify the good from the bad. Effective skin whitening cream with natural active ingredients. Recommended for general whitening, age spots, scar reduction, dark eye circles, acne marks, melasma, underarms. Good value for money - a little goes a long way. 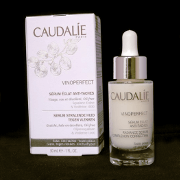 Designed for skin brightening and as a serum rather than a whitener. Can fade acne scars and dark spots. For a luxurious glowing bright skin try this. Good for more sensitive skins too. Too thick - unpleasant and difficult to apply. Can leave you looking chalky/powdery white. But gives limited to no lightening effect on dark spots! So whitening/lightening your skin generally means limiting or blocking production of melanin. It really is that simple. Your skin is continually renewing all the time, and if there isn’t as much melanin available as new skin is produced then that skin will become lighter. This process can also be made faster by using ingredients that help newer skin layers surface faster. There is no right or wrong here. Some people use whitening creams just to fade age spots or scars. Others use them to whiten areas of their body such as their face, hands or even all over. Basically if you want to try and lighten any area of your skin then that is your business and nobody elses. Fashions and trends come in all shapes and forms. How you want to look and present yourself is up to you, and nobody has the right to tell you otherwise. It is important to note here that not all creams will be suitable for more sensitive areas. So if you are planning on whitening intimate areas of your body then make sure you buy a product that is specially designed for that use. One of the most common ingredients in prescription skin whitening products is hydroquinone. There is no doubt that this product works – it is effective. What is in doubt however is the safety of using it, particularly longer term. The controversy over hydroquinone is due to it having shown some possible cancer causing effects in studies on rodents. And it has also been linked to a condition known as ochronosis in humans (which ironically is a darkening and thickening of the skin). As a result of this it has been banned for use in any cosmetic products throughout the European Union (EU). The FDA in the USA also withdrawn their previous rating of the ingredient being generally safe (GRASE) in 2006, and is considering whether it should be only available on prescription. The FDA does not move quickly however and their advice has not changed as yet since 2009. Despite all this hydroquinone is still widely available in non-prescription whitening products in less regulated countries. In the US creams with up to 2% concentration of hydroquinone are available over the counter (i.e. without prescription). Products with up to 4% require a prescription and medical guidance. Products stronger than that may be available just on the shelf in some other countries, but it would seem wise to limit concentrations to lower levels, at least until more research has been done. So I’m not saying don’t use hydroquinone products, but if you do using them under the advice of a medical professional may be the best way. 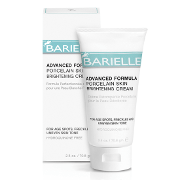 There are however a lot of alternatives now, so you don’t need to use hydroquinone based products at all. Research has revealed a lot of natural products with varying degrees of whitening effect. So if you’re looking for a potentially safer alternative they are most definitely available. Natural whitening ingredients may or may not be plant extracts. Sometimes products are found to have a whitening effect, then scientists isolate what is producing that effect and then create a synthetic version of it. This is by no means a complete list either – there are numerous others, and more are being discovered all the time. The best whitening cream for you is going to be suited to the body area or areas you plan to use it on. 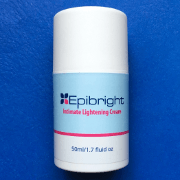 It will also be suited to the condition or purpose that you want to use it for – be that general skin lightening, reduction of the visibility of dark pigmented areas such as age spots. 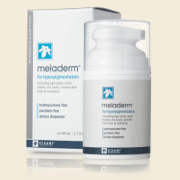 Or even for evening out hypopigmentation problems such as vitiligo or scarring. The ingredients will be either as natural a set of ingredients as possible, prescription strength hydroquinone or whatever is most effective depending on your personal preferences. My shortlist of the best skin whitening creams will be at least a useful starting point. This is obviously very product dependent. But it can also vary significantly from person to person depending on your skin type, the darkness of the areas you are working with and even how well you follow the instructions. For example, to get the best lightening effects you need the product to be well absorbed into your skin. TIP: One simple tip to get the best out of your product is to make sure you wash and cleanse the area before use. Gentle exfoliation to remove the dead layers of skin can also help any cream be better absorbed deep into the skin where it can take effect. 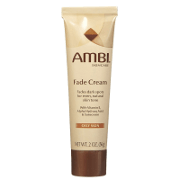 Results can therefore vary from a gentle brightening or evening out of skin tone. Right through to significant changes in the whiteness of the skin generally, or of the specific darkly pigmented areas you are treating. Again this does of course depend greatly on what you are trying to achieve, the product used and how you use it. But generally you do need to be patient here. Results will not happen overnight. You need to allow from a couple of weeks to start seeing some effect, through to months to get the full benefit. This will also depend on how well you protect yourself from sun exposure too. Sunlight, which contains UV light, naturally triggers melanin production in our skin. It’s that thing we refer to as a sun tan. This is a natural protection mechanism by our bodies – darker skin is better able to block UV, so as our body is exposed to more and more UV it attempts to darken the skin to give more natural protection. Firstly, we’re trying to limit melanin production to lighten our skin. So we don’t want the sun working against us and making it darker! Secondly, the reverse of what I said above is also true. As darker skin gives more protection, so lighter skin also gives less sun protection. Which makes us more sensitive to the sun. We are far wiser about sun protection these days than we used to be. But these two problems should tell you how much more important UV protection is going to be if you are trying to lighten your skin. Probably the best solution is to always avoid being out in the sun at peak times of the day anyway, but you do need to be even more careful than you otherwise would. This is of course important whatever you are buying. You want the company/manufacturer to stand by the product they make. So it is OK to ask them questions about their products, and see how they respond. Do they sound like they know what they are talking about? Do they respond to emails? Or publish a customer care phone number? Do they even care at all? It’s difficult with whitening creams but it is also nice to see a company that provides some kind of guarantee with their product. If you can try it for 30 days carefully following the instructions, using best practices for applying creams and avoiding the sun — and it does nothing at all for you, then it’s nice to know you can get your money back. Not many retailers or manufacturers stand by their products to that degree. Honestly, as much as you are willing to pay! That certainly does not mean the most expensive are the best – I can tell you right now that they are not. The very cheapest however tend not to be very good either. They also tend to be sold by shops that don’t provide any support or guarantee, and/or are made by unknown companies that don’t really want anything to do with their customers. So there is a sweet spot inbetween where you can get great skin whitening products that are a good balance of price and effectiveness. TIP: Don’t compare just on how big the container is for the price. Some products are very watery, whilst others can be thicker and a very small amount can cover a large area. But it also matters how much active ingredient is in them and that can be hard to tell – which is where reviews come in very handy to help you make a shortlist of the ones to try out yourself. Shuren, J. "Skin Bleaching Drug Products For Over-the-Counter Human Use; Proposed Rule" Food and Drug Administration (2006). "Hydroquinone Studies Under The National Toxicology Program (NTP)" Food and Drug Administration.